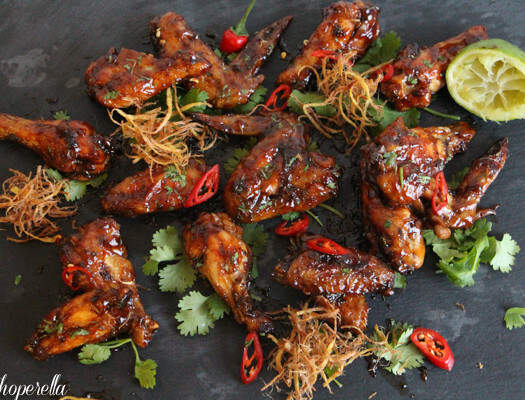 Chicken wings are one of my all time favourite appetizers. They’re so good it’s what my boyfriend and I had on our first date, even though they say to eat neatly, and use a fork and knife..blah blah blah. 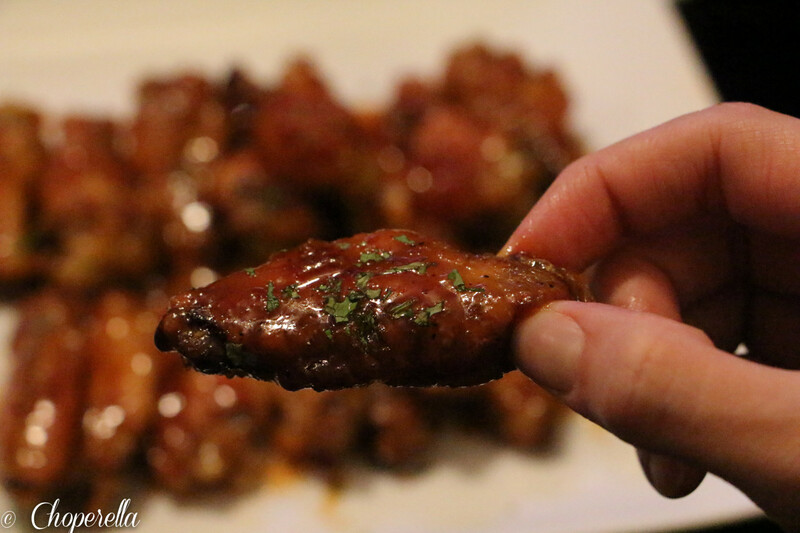 Whatever, we broke “the rule” and had our fingers sticky with sauce eating pounds of wings. These wings are now a new go to. I don’t think i’ll be wanting to go out as much to order my favourite “hot-honey” wings anymore. 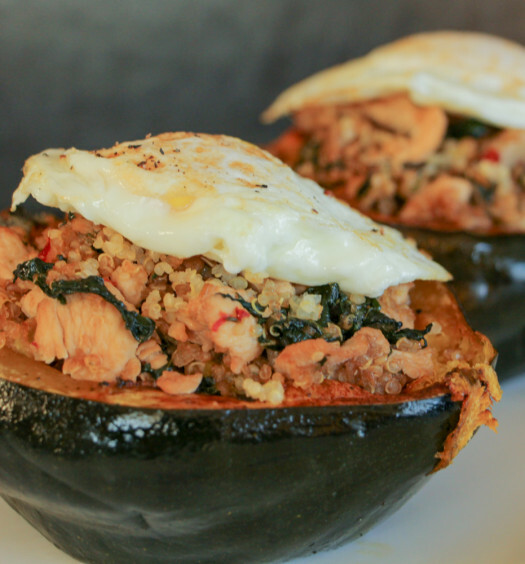 This recipe is simple and it has the exact amount of heat and sweetness that I like. You’re more than welcome to increase the heat or sweet depending on your taste preferences. I’m a little baby who can’t handle too much heat. Best part about it…They’re baked, not fried! 3. 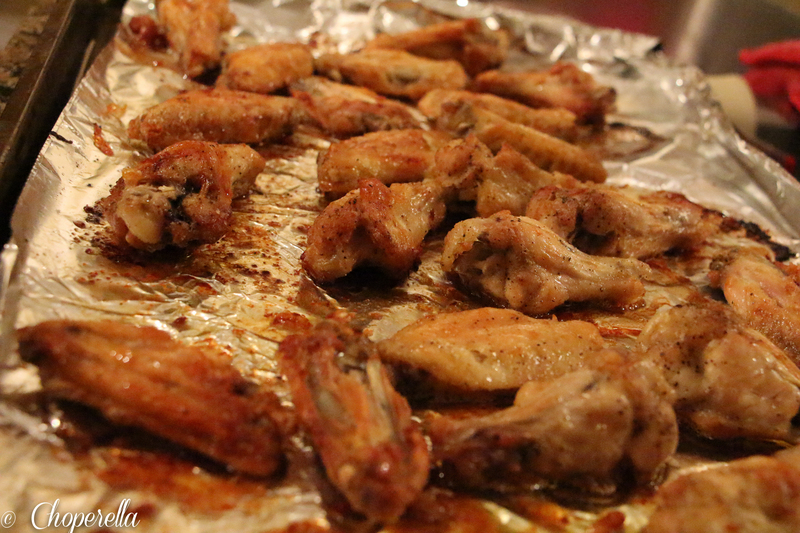 Coat the chicken wings first with the salt, pepper and garlic powder. Then toss with the oil and massage the butter on the wings. 5. While the wings are cooking, prepare the sauce. Put the rest of the ingredients in a saucepan. 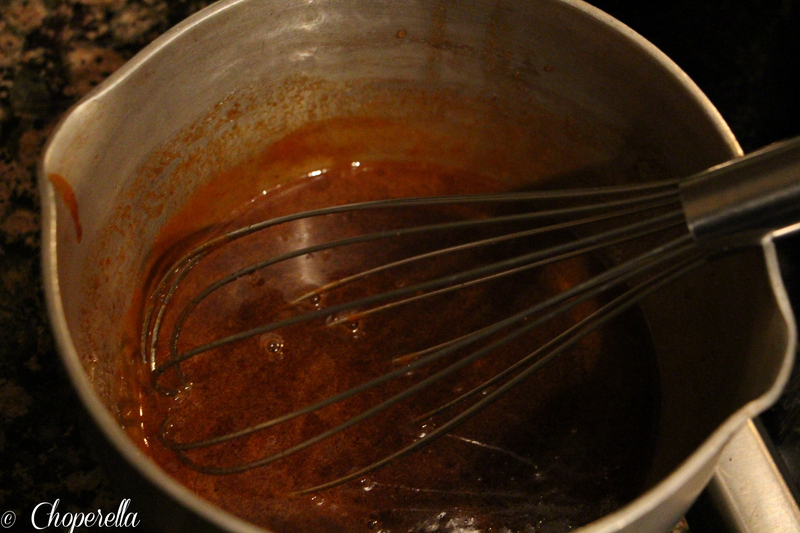 Whisk to combine and heat on medium low. 6. Once the wings are done, they should be nice an browned and crispy, place them in a large sauté pan on medium heat. 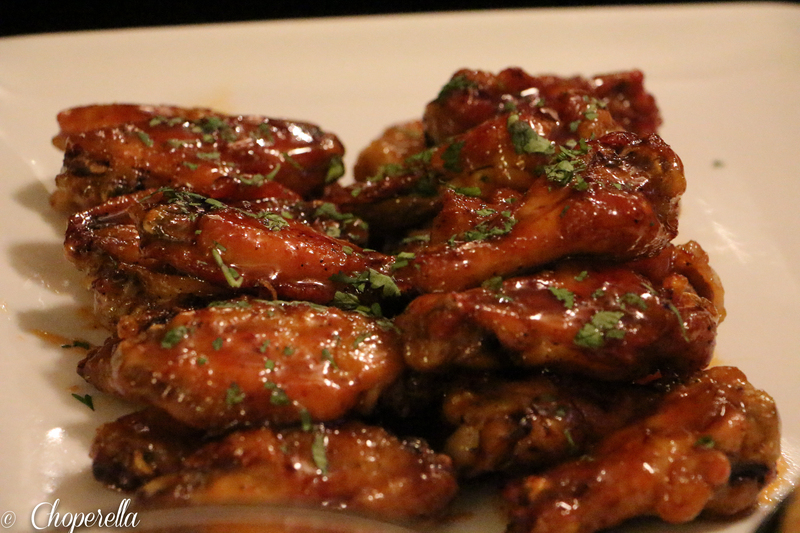 Pour the sauce over the chicken wings and toss to cover the wings. This will aid the sauce to stick to the wings as you cook it down with them. 7. After they are completely coated, plate them and garnish with some fresh chopped parsley.